“A clean slate 4D approach to network control and management”, Albert Greenberg, Gisli Hjalmtysson, David A. Maltz, Andy Myers, Jennifer Rexford, Geoffrey Xie, Hong Yan, Jibin Zhan, and Hui Zhang. “Sizing router buffers”, Guido Appenzeller, Isaac Keslassy, and Nick McKeown. SIGCOMM 2004. 4. To increase collaboration between industry and academia in the field of networking, the Internet Research Task Force (IRTF) and the Internet Society (ISOC) in cooperation with ACM SIGCOMM are organizing a workshop on Research and Applications of Internet Measurements (RAIM), scheduled for the Saturday in between the 2015 ACM SIGCOMM Internet Measurement Conference (IMC) in Tokyo and the 94th Internet Engineering Task Force (IETF) meeting in Yokohama. Details and submission instructions at https://irtf.org/raim-2015. Submission deadline: August 7. SIGCOMM 2015 is fast approaching! This year will introduce several new programs including student mentoring, and industrial demos (running for the second year), besides the usual workshops and poster sessions. The early registration deadline is July 15, only a few days away. The details of the program can be found at: http://conferences.sigcomm.org/sigcomm/2015/ . Do plan to attend the community feedback session to share your concerns with other community members and to give your input to the EC! 1. We are delighted to announce that SIGCOMM 2015 awardee is Albert Greenberg (Microsoft Research) for pioneering the theory and practice of operating carrier and datacenter networks. Congratulations, Albert! 2. Congratulations to many members of our SIGCOMM community have who been elected as IEEE Fellows; to Kimberly Claffy and Vern Paxson for winning the IEEE Internet Award; and to Albert Greenberg who also won the IEEE Koji Kobayashi Computers and Communications Award. 3. To increase collaboration between industry and academia in the field of networking, the Internet Research Task Force (IRTF) and the Internet Society (ISOC) in cooperation with ACM SIGCOMM are organizing a workshop on Research and Applications of Internet Measurements (RAIM), scheduled for the Saturday in between the 2015 ACM SIGCOMM Internet Measurement Conference (IMC) in Tokyo and the 94th Internet Engineering Task Force (IETF) meeting in Yokohama. The EC has contracted with a meeting organiser called MeetGreen to help with the registration, budgeting, and planning process for SIGCOMM-sponsored conferences. SIGCOMM 2015 talks will be recorded and made available online. We are requesting PC chairs of each conference to nominate one or two papers for CACM Research Highlights. https://www.regonline.com/acmsigcomm2015 . Early registration ends on July 14th. 3. Geo-diversity grants now have more extensive coverage. See http://sigcomm.org/for-authors/geodiversity-travel-grants for details of the application process. 6. The term of Victor Vianu, the current Editor-in-Chief of the Journal of the ACM (JACM), is coming to an end. A search committee has been formed to identify candidates for the next Editor-in-Chief and to recommend the most suitable one to the ACM Publications Board. The position is for a term of three years, renewable once, starting on September 1, 2015. The duties of ACM Editors-in-Chief are summarized in the ACM Volunteer Editors. Nominations should be sent by email to Joe Halpern (halpern@cs.cornell.edu). The committee accepts self-nominations. Nominations (whether of a colleague or oneself) should include a summary of the candidate's relevant research contributions and editorial qualifications. The committee will start evaluating candidates after July 1, 2015. We have a busy newsletter this month, so, let’s dive right into it! 1. We are delighted to announce that Sylvia Ratnasamy, a faculty member at the University of California, Berkeley has won the ACM Grace Murray Hopper Award for her seminal work on distributed hash tables, a fundamental contribution to the design of large-scale distributed and decentralized computing systems. Congratulations, Sylvia! 2. In other good news, the SIGCOMM Doctoral Dissertation Award committee is pleased to announce that the 2015 winner is: Keith Winstein for his dissertation entitled “Transport Architectures for an Evolving Internet” This dissertation proposes and develops the idea of computer-generated congestion control, creatively solving both classical and new problems in network resource management. The Honorable Mention goes to Hongqiang Liu for his dissertation “Traffic Planning under Network Dynamics” Liu's dissertation presents the design and implementation of practical, uniform, automatic, and proactive techniques to prevent the link congestion commonly caused by network faults and maintenance. The award committee was comprised of Mark Crovella, Arvind Krishnamurthy, Nikolaos Laoutaris, Alan Mislove, Neil Spring (chair), and Arun Venkataramani. 4. We are trying a new mentoring idea at SIGCOMM 2015: an opportunity for students and postdocs to meet individually with teams of two mentors to talk about the student’s research. The idea is to give graduate students (and postdocs) access to feedback from outstanding researchers from outside their university. Applications are due June 15th. More information can be found at the SIGCOMM 2015 conference website. If you have any questions, please contact the SIG Education Director, Olivier Bonaventure (UCLouvain) by email. Open Access is becoming increasingly important for the scientific community. The SIG is working with ACM to enable ‘gold’ OA on all SIGCOMM-sponsored conferences. More news on that front will follow in due course. In the meantime, good luck to those of you awaiting results from SIGCOMM 2015, and to those submitting to IMC 2015. 4. Call for Participation: ACM SIGCOMM Symposium on SDN Research. 3. Call for Participation: ACM SIGCOMM Symposium on SDN Research. 2. The industrial demo session at SIGCOMM 2014 in Chicago had a great turnout and positive feedback, so it returns for SIGCOMM 2015. This session showcases demos from industry in the area of networking, networked systems, and networked applications, bringing industry and academia together around demos of innovative and cutting-edge networking products. 3. CoNext 2015 will be taking place on December 1-4, 2015 in Heidelberg, Germany. 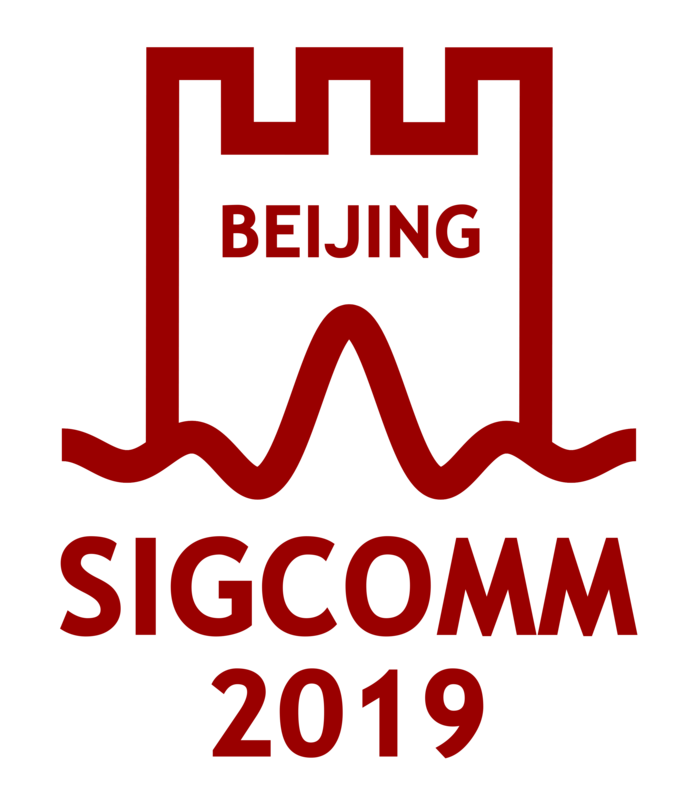 For those of you who submitted a paper to SIGCOMM 2015, I hope you appreciated the Friday evening deadline, giving you the whole weekend to spend quality time preparing your IMC 2015 submissions. If you narrowly missed the deadline, fear not! The CoNext 2015 deadline is around the corner, in addition to a number of interesting workshops, industrial demos, and poster sessions to be held with SIGCOMM 2015, providing you with plenty of opportunities to enjoy the European summer or winter. For a summary of the workshops, see http://conferences.sigcomm.org/sigcomm/2015/ and for CoNext 2015 details see item 4 below. Taking a broader view, it has been interesting to watch the net neutrality debate at the FCC (brief summary at http://www.cnet.com/news/fcc-and-net-neutrality-what-you-really-need-to-...). There seems to be an unexpectedly important role for comedians, TV presenters, and even adult video industry professionals in this debate, although many also believe that there’s no escape from first, business, and economy class data tariffs. I am certain that this year’s IMC will provide a forum for presenting new insight and thought-provoking results on this topic. 2. We are pleased to announce that that SIG has engaged MeetGreen <link goes here>, a meeting management company, to assist the general chairs and organization committees of our fully sponsored conferences. MeetGreen will reduce the strain on volunteers, ensure continuity across conferences, and contribute to sharing best practices within and across conferences. 5. The program of the SIGCOMM-sponsored TMA school program is now available: http://tma-2015.cba.upc.edu/phd-school-program. Happy 2015, and best wishes to all of you for your success, particularly those burning the midnight oil towards January deadlines, including that of SIGOCMM 2015! 3. Submit to the new SIG-sponsored Symposium on SDN Research (SOSR, formerly HotSDN), co-located with the Open Networking Summit June 17-18, 2015. Register your abstract by March 7, and submit by March 14. Both short (6-page) and long (12-page) papers will be accepted. 5. As networking researchers, we love to work on ideas that improve the practice of networking. In the pioneering days of the Internet, the link between networking researchers and practitioners was strong; the community was small and everyone knew each other. Not only were there many important ideas from the research community that affected the practice of networking, we were all very aware of them. Today, the networking industry is enormous and the practice of networking spans many network equipment vendors, operators, chip manufacturers, the IETF, data centers, wireless and cellular, and so on. There continues to be a transfer of ideas, but there isn't a forum to learn about them. We are addressing this gap through a new series of articles in CCR. The goal of this series is to present articles that shine a spotlight on specific examples of technology transfer from academia to industry; focussing not only on the technology and ideas themselves, but also on the path the ideas took to affect practice. This path is not straightforward. Sometimes a research paper was picked up by chance; but more often, researchers worked hand-in-hand with the standards community, the open-source community, or industry to develop the idea further to make it suitable for adoption. We want their stories here. We also welcome stories of negative experiences, or ideas that seemed promising but ended-up not taking off. With the end of 2014 in sight, I would like to wish you season's greetings, and best wishes for the new year. Deadline to apply for student travel grants is February 1st, 2015.